Lars Täuber will take over the position as Head of Division Stockholm and take place in Bravida’s Group Management. Lars Täuber will replace Filip Bjurström, who becomes part of the Bravida Group’s Acquisition Team. 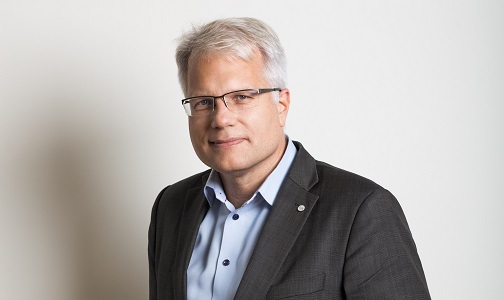 Lars Täuber will take over as Head of Division on 7th of January 2019. “It feels really good to welcome Lars as Head of Division Stockholm. We place great value on both his leadership skills and his many years of service experience. Bravida aims to grow both organically and through acquisitions, and Lars’ experiences from the industry and the Stockholm market are important to us”, says Mattias Johansson, CEO and Group President at Bravida. “At the same time, this gives Bravida the opportunity to establish a new Acquisition Team with high ambitions. I am very pleased that Filip will now become part of the Group’s new Acquisition Team, after almost ten years in the role as Head of Division Stockholm. Lars Täuber is currently the Director of Fixed Communication in Sweden at Eltel. He holds a Bachelor of Science Degree in Control and Maintenance from the Royal Institute of Technology in Stockholm, and has solid experience from different positions within the industry. He has previously worked at for exemple ABB, YIT and ISS. “Bravida has a strong position in the Stockholm market and I think I can contribute to further strengthening Division Stockholm’s service and installation business. Also, I look forward to taking part in the company management from a Group level”, says Lars Täuber.